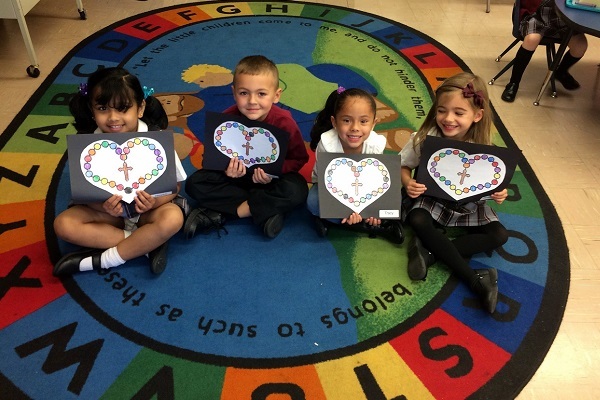 Catholic Schools Week provides an annual opportunity to celebrate the gift of a Catholic School education — not just in South Jersey, but throughout the Church in the United States. 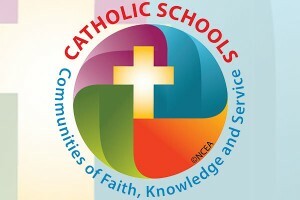 Although Catholic Schools Week officially begins January 29, our special diocesan collection for Catholic Schools will take place on the weekend of January 21-22. I ask for your prayerful consideration in generously supporting this collection which benefits the important mission of our Catholic Schools. Many of us ‘older’ folks were educated in Catholic Schools before tuitions were imposed. Our financial contribution to this annual Catholic Schools collection is a way of expressing our gratitude for the first class moral and academic education we received at little or no cost. Catholic Schools have a proven track record for academic excellence and a commitment to serving others. Together with parishes, Catholic Schools foster a spirit of community and engagement. As school enrollment increases, so too does participation in our Church. In fact, there are families who return to regular Mass attendance, encouraged by their children who attend our Catholic Schools. Catholic School graduates are more likely to consider religious vocations and stay involved with the Church as adults. Further, they are also more likely to send their children to Catholic School, passing the tradition from generation to generation. Indeed, a Catholic School education is a gift not only for the children who attend, but also for the future of our Church. It is the gift of a lifetime which deserves broad support from our entire Catholic community. If you have school-age children, I urge you to consider a Catholic School education. Our doors are always open to interested families, and tuition assistance and financing options may be available. Pray that our schools become increasingly affordable, available and accessible, and remain sustainable. Pray for our teachers, administrators and staff who give tirelessly for the future of our children. Pray for our students, that they will be swept by the spirit of Jesus and inspired to excel and contribute in and out of the classroom. Come to an open house during Catholic Schools Week (January 29 to February 4) and see for yourself what makes our schools unique. You are welcome to visit. Contribute generously to the annual collection for South Jersey Catholic Schools which will take place on the weekend of January 21-22. Your contribution can help strengthen our schools financially and make the gift of a Catholic School education possible for more families. Recommend our schools to family members and friends with school-age children. Suggest that they consider a Catholic School for their child. Explain that a Catholic education forms the mind, the soul, the whole child and that Jesus Christ is the teacher. Our 2015-16 Annual Report on South Jersey Catholic Schools is published. It will give you a snapshot of many wonderful happenings in our schools on budgets that are scrupulously managed. I am grateful to the administrators, faculty and staff members who educate our students and to our parents and guardians who sacrifice to provide a Catholic School education for their children. I thank our pastors and parish finance councils and all who support our schools. The mission of South Jersey Catholic Schools is to educate and inspire young minds spiritually, academically and in service to others. Our vision is for students to become faith-filled adults who, guided by gospel values, shape our world with knowledge, compassion and integrity.